I work closely with real estate agents every day. Dozens of my closest friends are real estate agents and a lot of agents cringe at the term FSBO (For Sale By Owner). And I put my home on the market to sell it myself. I was a FSBO. Before you panic, there are a couple things I want you to know. First, I didn’t end up selling it because I didn’t get the new house I wanted. Second, I had done this before. And third, from my unique position here at Adwerx, I was actually doing this more so as an experiment in going behind the scenes than trying to save money. I love and value real estate agents after all. It was quite the experience. I learned so much that I want to share some intel with you, my real estate professional friends. My name isn’t Fizz Bo. Being part of Facebook groups and conferences, I know the real estate vernacular. And I know the homeowners who sell their own home are simply called FSBOs. That’s a cute little bit of shorthand and is great for talking amongst yourselves. But I wonder if this nickname hasn’t served to remove a bit of the empathy from working with these folks. As soon as my house listing went live, I started receiving calls from agents. A LOT of calls. And I’ll honestly say I wasn’t impressed. I’m well aware that selling a house without an agent could cost me time and money. But if I’ve made the decision to try it myself, you probably have two goals in calling me: first, you want me to change my mind and second, you want me to remember who you are so when I fail, I call you back. I don’t think one agent who called me asked why I was selling my home. Or asked anything else about me, for that matter. The majority simply asked to speak to the homeowner, and proceeded to admonish me for listing on my own. Is that how you earn trust and forge connections? Me neither. There’s more to marketing my home than the MLS. After berating me for even considering a FSBO, most agents told me they could put my home on the MLS. I kept waiting for the unique pitch or the differentiator. Something to help these agents stand out. Little did they know they were talking to a veteran PR and marketing professional. This could have been easily determined with just one quick google search to warm the call. But if this is the experience of regular, everyday FSBOs, then can you blame them for not hiring you? 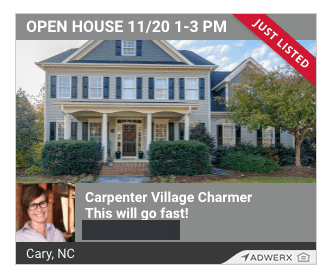 Promote the listing in local groups and on a super-powered Raleigh Referrals and Recommendations networking group, run by my friend Steven David Elliot. I got over 2,200 views in less than 24 hours by dropping that landing page link into all the local mommy channels. Houselens told me my landing page was their top page for a week! 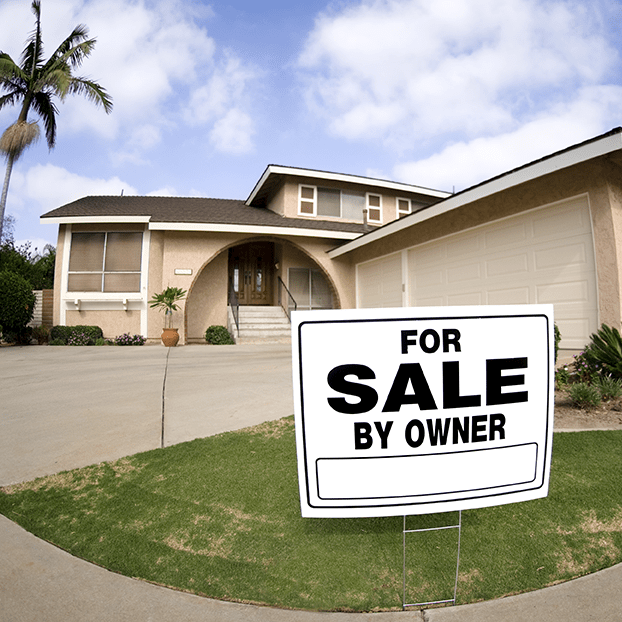 Granted, not every FSBO has the know-how or even the interest in doing what I did. But if FSBOs are part of your strategy, you should assume they are both interested and capable. Think the best of them, and that will show through. Here’s what I would have loved to hear from the agents who reached out to me as a FSBO. Your name. That sounds simple enough, right? But at least a dozen agents launched into their script without even introducing themselves. My name. I’m not “the homeowner.” I’m Molly. And my name was on the listing. It’s easy to pronounce. Genuine enthusiasm. The overall tone of the calls I received was one of disbelief and skepticism. Who wants to talk to someone like that? A unique strategy. Give me a taste of what it would be like to work with you. Have a wow fact or demonstrate your expertise in a way that is honest and of value to me. Buying and selling a home is one of the most emotional times in anyone’s life. And you don’t know why I have to sell my house. There could be a sad reason. Or there could be a happy reason, which I was lucky enough to have. Not one agent made an emotional connection with me so that I would retain their name for a call when my sale doesn’t happen, or even for a referral when someone I know wants to buy or sell. That is a missed opportunity. I got a buyer. But in the end, I didn’t sell. Long story short, I didn’t end up selling my home. I found a great buyer, but not a great home to buy for myself. So I’m staying put for now. But when I do decide it’s time to sell, be ready. Because I want to know why being a FBSO isn’t as wonderful as being your client. It’s still a chance to make a new connection. Wow! There has been some amazing engagement and conversation around this topic in the social world. Thank you to all who chimed in. Just to clarify, we at Adwerx are the ultimate raving fans of the role agents play for homeowners. In fact, we celebrate agents in our #BeTheSherpa series, where we highlight individual agent’s stories and how they continue to be relevant and valuable through their expertise. And Molly was certainly an outlier in her experience as a FSBO, in that she had a cadre of trusted advisors who are real estate experts that she consulted with before doing this on her own. Watch for our follow-up on what does work when talking to FSBOs and a collection of stories from agents who have cut through the scripted responses and created that critical emotional connection. Outstanding message Molly. And yes, I agree you have more knowledge than most non real estate homeowners. But that shouldn’t minimize your message that in order to be a factor to a possible seller is to make a connection first. I’ve been lucky to create friendships with people who were trying to sell their home on their own. Didn’t matter if they hired me or not.